Mace`Daniels stands 5'9, has sapphire eyes and black hair. She wears brown pants and shirt along with fighting gloves on her hands. She is of the elven race and looks to be in her late 20's. 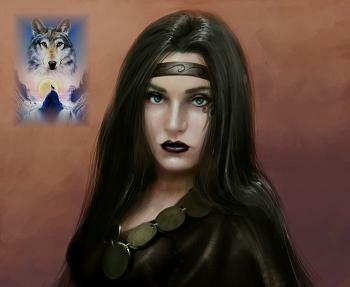 Always with her is her companion Nightstorm, a rather large wolf. She is a warrior and a commander to her men at Crystal Palace. She can be a very nice person once you get to know her.